I am 6 days shy of wrapping up my first year back in kindergarten. It was a wild ride and I have learned a lot, to say the least. My favorite pastime of reading came to a screeching halt - or more of a slow crawl. I found myself checking out books from the library, getting less than halfway through, and then I'd have to return them because I was out of renewals. Seriously, 4 renewals and 20 pages read? Not my idea of reading for pleasure. This summer will be my first ever where I actually enjoy my entire summer break without working. It's been 12 years and I am looking forward to the travel, the sleeping in, but most of all, the reading. Here is my summer list, including some books that were once returned to the library and I will now attempt to read again. One thing different from my previous summers of reading is that this summer I have a long list of grown up books to read. Perhaps that is because I spent the last 8 months mostly in the company of 5 and 6 year olds? 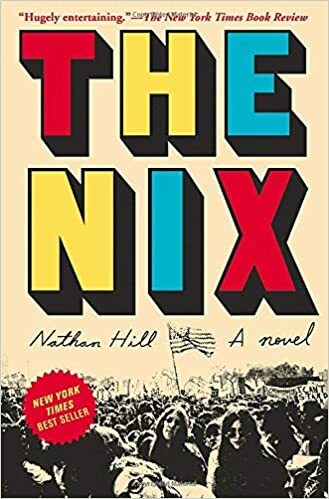 I started The Nix and returned it but loved every page of the 30 or so I read. I'm on a waiting list again, only 52 ahead of me instead of the 352 previously, and can't wait to jump back in. This story is about a man reconnecting with his mother. You will notice a theme in my summer books - family. I'm devouring family stories this year. It launched with Moonglow by Michael Chabon, which was one of the only books I finished this school year. I feel like it's such honest storytelling and also brave. I know I feel conflicted about putting my family in my stories and just where to draw the line between public and private information. Family stories toe that line on the regular. I know her!!!! 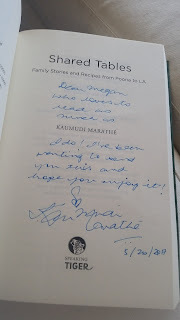 When I lived in LA I taught Kaumudi's daughter, Keya. 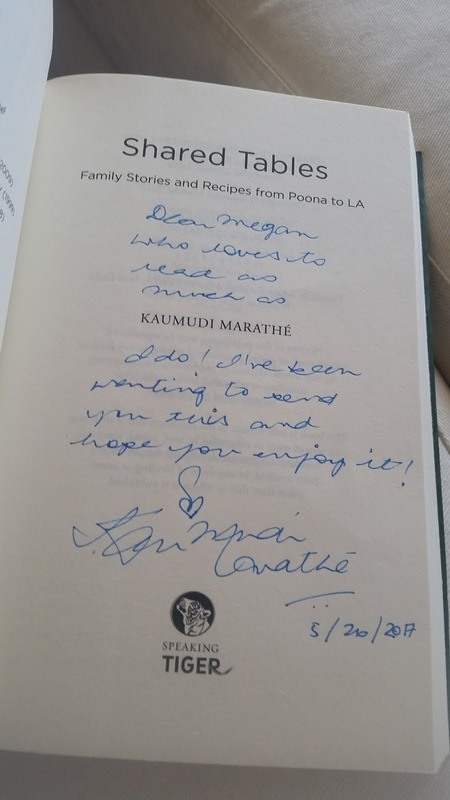 Kaumudi and I share a love of literature and I watched with envy (over social media) as she worked on this book. I yearn to be a writer and Kaumudi just straight up did the damn thing. Brava!! 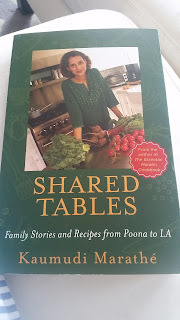 Kaumudi is a chef, a teacher, a runner, a fantastic mother, and a writer - of course. I can't wait to jump into this book and try my hand at the recipes in the back. 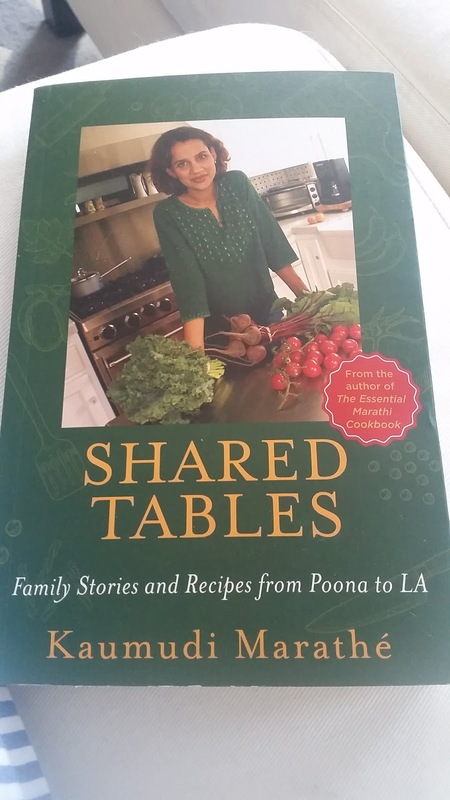 If you love food and family stories, you will want to add this one to your summer reading list as well. My mother suggested I read this family story. Backman is the same author who wrote A Man Called Ove. Side note: I tried to listen to A Man Called Ove during a recent sitting for a new tattoo. It was a nice distraction over the length of 6 hours but I honestly couldn't tell you what happened in that story. I heard it's good though. My grandmother is delightful. 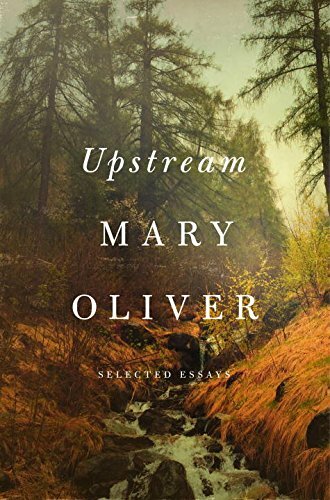 I started it already but will probably put it down when I pick up Upstream so I can make the two week deadline to finish that. 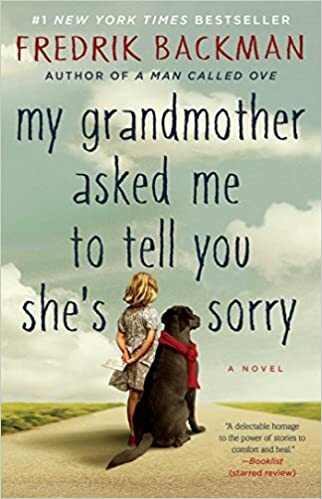 This is a story of a young girl and her aging grandmother who doesn't really like to follow the rules the world has made up. I can definitely relate to that. :) I've been reading this in small bits and pieces over the last few weeks now that school is coming to a close. I can feel full reading pleasure in my near future. 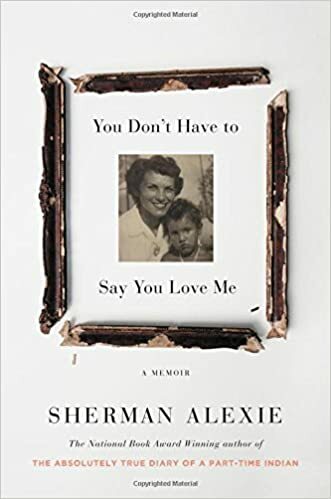 Alexie's memoir comes out...now! It is on order at my library and I have already requested a hold. I've loved all the books of his that I've read thus far and can't wait to read the story of his life. I'm not going to read any reviews, just diving in to this one. In Sedaris's latest, he reveals entries from his diaries that have inspired his writing. My fondest Sedaris moments in life include listening to his Santaland Diaries with our mother every Christmas and listening to When You are Engulfed in Flames on my first drive from Boston to LA. He cracks me up, which is something we all could use right now. Looking forward to some giggles with this pick. I pick one every year. Gabo is the best summer read because his stories emanate heat. 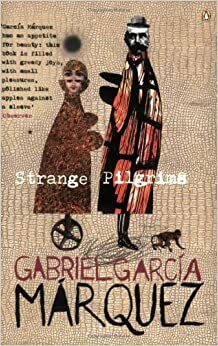 I did this marvelous thing - decided years back to read one Marquez book every summer - followed by a pretty dumb thing - never record which books I've read. I may have read this book before. I guess it is time to write them down so I know which ones I have left. I should be pretty close to reading them. That's it! Notably missing - teacher books and kid's books. I haven't even begun to look into what to read right now in children's literature so that list will be forthcoming. Also, this poem is perfect. I plan on getting it framed. And, how to read a book a week. I read a lot of these but I sort of like his idea - don't treat reading like a precious thing. Read it, it makes sense. 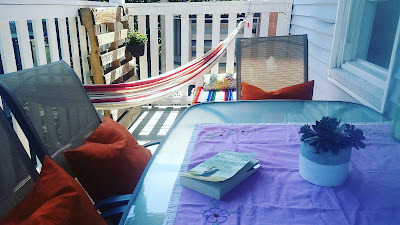 Getting the back deck ready for a summer of reading.